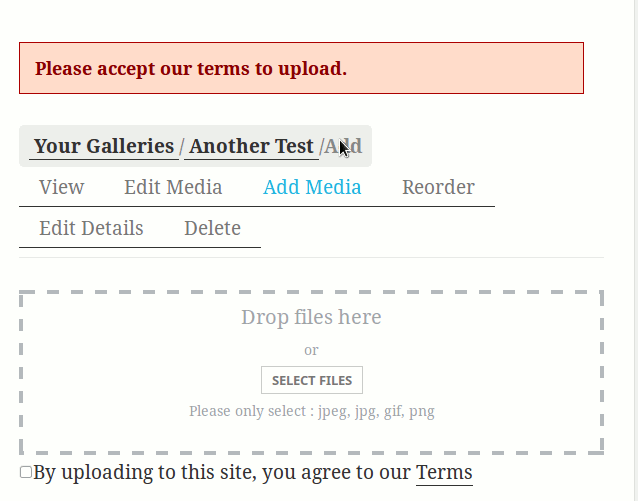 A wise man never takes risks! 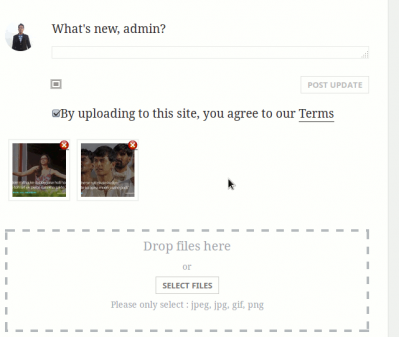 MediaPress Upload Terms of Service plugin allows site admins to configure a terms of service agreement. 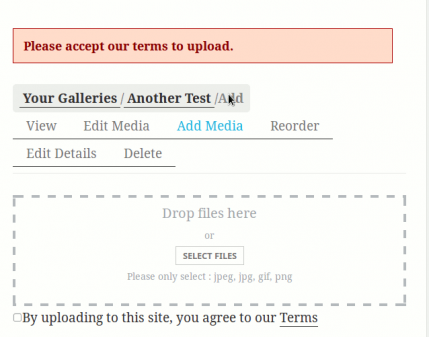 To upload photos, video or any media to their gallery, Users will need to agree the terms of services. 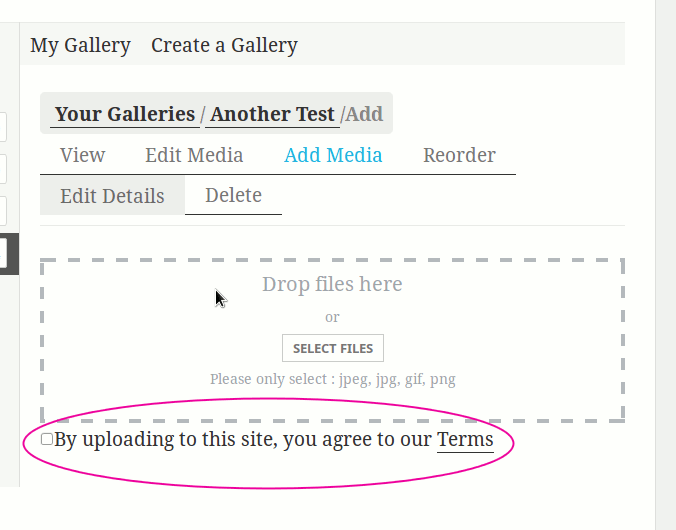 If a user does not agree with your terms of service, they won’t be able to upload media on your WordPress/BuddyPress based site. 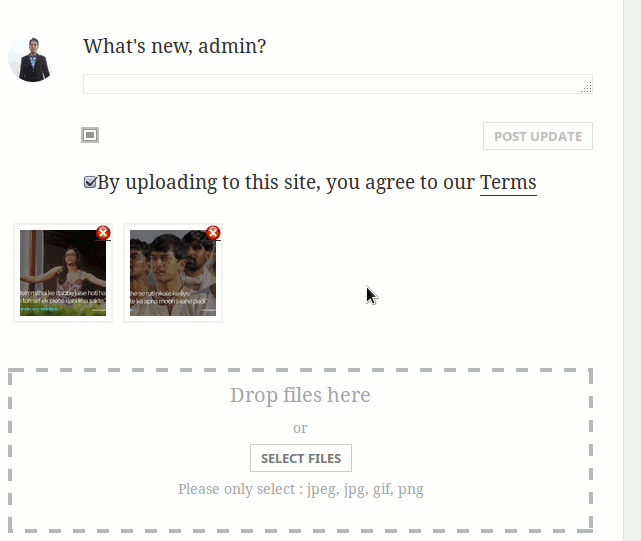 This plugin can be very useful for social sites allowing users to create gallery.